In its second quarter earnings report, Snap -- the maker of the Snapchat app -- reported a drop in users. The platform’s daily active user count was 188 million in its second quarter. This figure represents an annual increase of 15 million, but a loss of three million daily active users. It was the first time since Snap went public in early 2017 that its daily active user numbers had dwindled. The platform’s unpopular redesign was a key reason for the drop in its daily active user count. Snap is also facing competition from Facebook-owned Instagram, which has Instagram Stories -- a similar feature to Snapchat Stories. As of June, Instagram announced that it had reached 1 billion monthly active accounts. Instagram also recently introduced a section for longer videos called IGTV, which rivals Snapchat’s capabilities. In an attempt to boost its underwhelming user numbers, Snap hired “wildcard” new CFO Tim Stone from Amazon in June. If Stone succeeds in laying out a long-term path to profitability, analysts say usage trends could respond positively. Although the company reported a decline in users, it increased its average revenue per user by 34 percent year-over-year, according the report. Snap also reported double digit revenue growth; an increase of 44 percent year-over-year. Advertising revenue was up 48 percent year-over-year. After the report was released, shares fell as much as 11 percent but bounced back to up 11 percent. 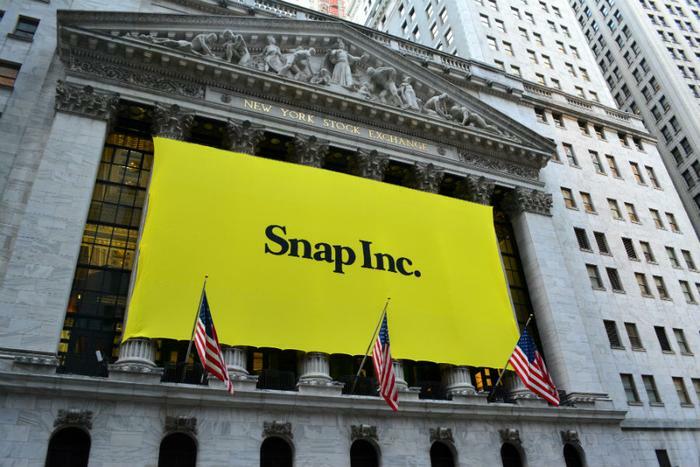 Snap shares opened Tuesday’s trading session in the red. Snap’s report comes after Facebook released a second quarter earnings report which missed analyst expectations on revenue by about $70 million and showed slowing user growth. The company reported a daily active user count of 1.47 billion; market analysts had estimated 1.49 billion. Some speculate that the steady stream of bad news about social media may be driving users away. Facebook and Twitter have been rocked by news of foreign interference on their sites and data-sharing scandals. The two sites have also struggled to combat the spread of misinformation.